It's a pretty common situation. You decide to try and fit all your measures on one A4/foolscap side. After lots of haggling, and increasing use of small font sizes, you can just about squeeze everything on one page (if you have good eyesight). You show it to the executive and they throw half a dozen extra measures and charts into the mix, blowing any chance of creating a one page dashboard. This is the easiest option, but also risky. In some businesses it really is impossible to fit every relevant measure on one page. There is often fierce debate amongst individual 'interest' groups about which should be included. The surviving measures are often more an indicator of the political power of the stakeholder than of business relevance. Imagine if the designer of the next aircraft you flew in decided to leave some of the instruments out of the cockpit as 'there's not really enough space for them' - not a pretty thought, is it? Performance indexes are a special kind of measure that combines several 'real' KPIs into one measure, that isn't something that you can see/hear/touch/count. Performance indexes are surprisingly commonly used, but it's easy to forget than they are 'artificial' and had to be designed at some point. Weight Watchers Points - A measure that mixes calorific content, fat and fibre content to give a "food healthiness score"
Of the two approaches to saving dashboard space, a performance index is absolutely the best solution to the 'not enough space on the dashboard' conundrum, but they aren't that simple to build. This post will be your guide through the pitfalls, challenges and tricky aspects of building your own performance index. What makes a good performance index? Mix together elements that all genuinely contribute to the same measurable outcome ('deliverability' of email in our later example). Offer 'at a glance' insight of a complex situation. Point the user in the right direction for more detailed analysis of the underlying problems. Be transparent and balanced. Indices often use 'weightings' on their component parts. These need to be visible and attempt to accurately reflect the true drivers behind performance. Performance indexes are great for situations where a snap assessment is important. You see them all the time, but may not even notice. Fitness trackers, food hygiene scores and even exam results, they are all indexes that summarise complex questions ('Am I doing enough exercise? ',' Will I get food poisoning?' and 'Does Bernie understand Mechanical Engineering?') in very quick-to-assess ways. They work particularly well when you 'check in' frequently on something, for instance Weight Watchers Points score, and can be powerful motivators for behaviour change. Performance Indexes are fairly blunt instruments. The exact scores varies depending on how they are designed. This means you cannot solely rely on them for 'big' decisions, especially where you are comparing small differences between index scores. 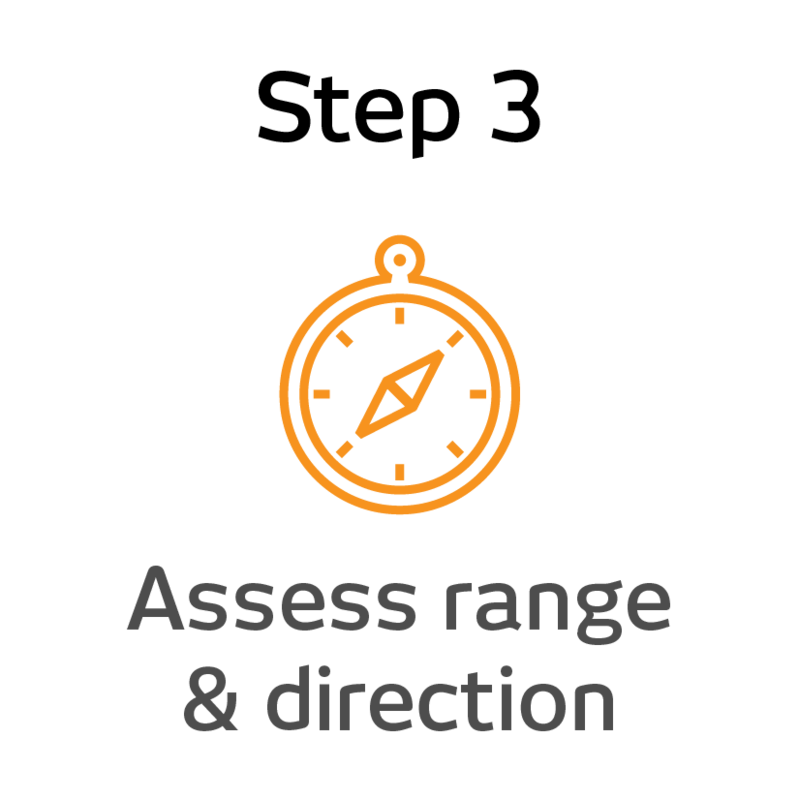 They are good for 'at a glance' assessments, driving behaviour in the right direction and trend analysis. They can also be badly designed, incorrectly weighted and unrepresentative. If you have any doubts about how the index works, you need to pull it apart, understand how it works and do some deeper analysis of the constituent measures. Another risk is that you have more than one trend that cancel each other out. Again the only remedy is to look at the underlying trends, not just the index. One particularly poor measure I have seen affected by this is the Bradford Factor. It's a dreadful HR measure that supposedly measures workplace disruption caused by sickness (read more about it here - note that no-one has ever found the supposed research that this measure is based on and Bradford Business School have pointedly distanced themselves from any involvement in its creation). The Bradford Score (a performance index) is determined as B=S² x D, where B is the Bradford score, S is the number of absences and D is the total number of days missed. Let's look at two situations. Get those who will live with the measure into a room and get them bought-in to the composite measure. Best to do this right from the start as objections (or worse, being ignored) are the biggest challenges you are likely to face with your new index KPI. Develop a shortlist of "ingredient measures" that should go in the index measures - these are the measures that will be used to calculate the index measure. 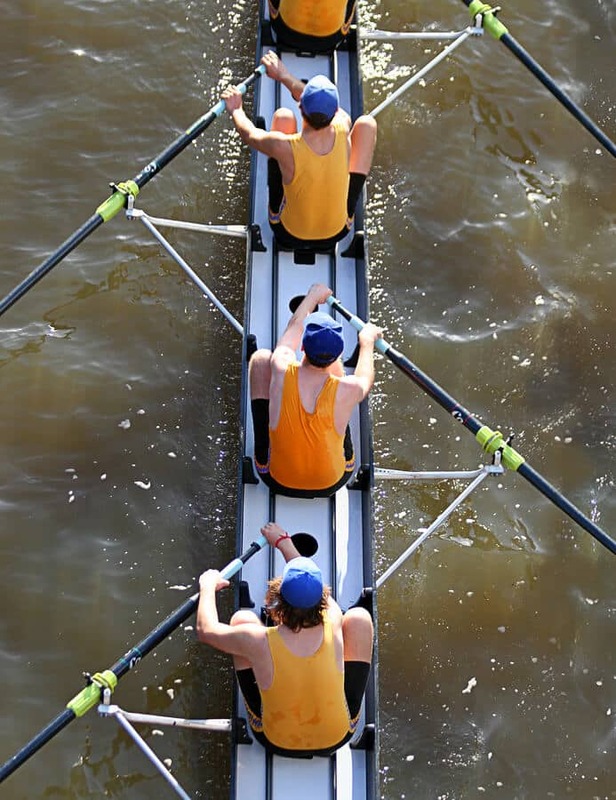 For some more tips on how to create KPI engagement, read this blog. You will see each of these icons as we walk through the explanations and examples below. First, you need to decide what you want your performance to tell you. This should be simple, but if you get this step wrong, or are confused, then everything else is going to be a struggle and probably result in disappointment. "Develop and index which focuses on what customers think of the service they received, how many customer-initiated contacts it took to resolve their problem, how swiftly (or slowly) agents deal with queries and call-listening scores." Less is definitely 'more' with indexes. Some, like the FTSE 100, can accommodate large numbers of inputs as it's a very simple index (it's the value of all the shares added together) but as soon as you start weighting things or doing more exotic arithmetic you will save yourself a lot of work by keeping it as simple as possible. Use this approach to help you cull your KPIs before you attempt to roll them into an index. Remember, the more ingredients you have when designing performance indexes, the more opportunities there are for it to go wrong! Things that don't have a logically coherent observable output. OEE - an operational efficiency index - works as a measure because all the elements result in a quantity of saleable product. It might be tempting to stick 'tidiness score' into your efficiency measure, but tidiness doesn't have an observable effect on the output of a factory (feel free to flame me 5S fanboys...) so they shouldn't be mixed. Weight Watchers points work because (when you hit your target) you have taken on board a certain number of calories and nutrients - it's all about food in this case. Is a bigger value for your ingredient KPI better, or worse? Does a high score indicate better or worse performance? It's a simple question, but one you need to answer at the start to make sure that your Index arithmetic is logical and consistent. 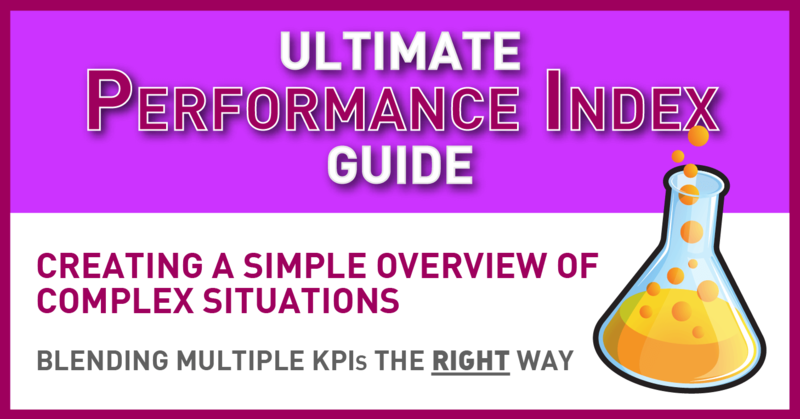 It is up to you to decide if bigger=better or vice versa, but what does matter is that all of your KPIs in your performance index follow the same convention. If you don't do this, you will end up with nonsense. 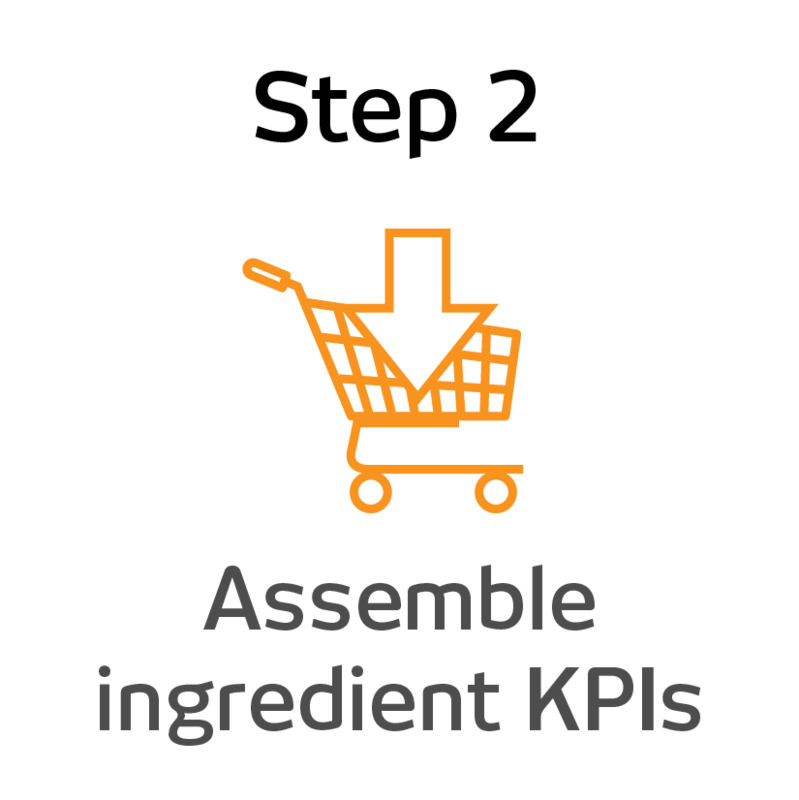 Is your index ingredient KPI 'ranged' or 'open-ended'? 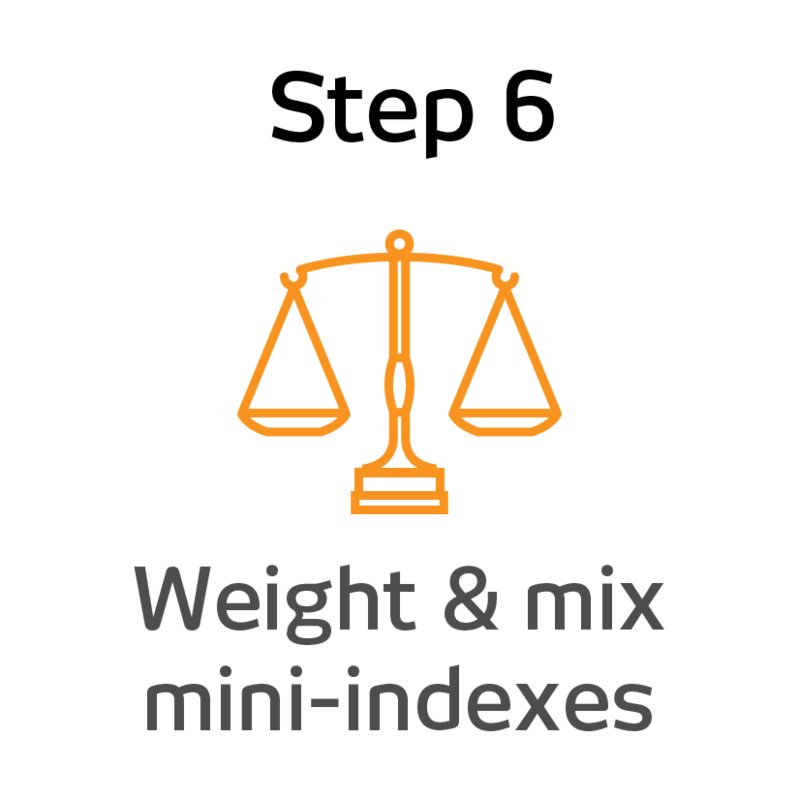 An open-ended index is one that can just carry on getting bigger - there's no upper limit, e.g.stock market indicators, Body Mass Index and the Retail Price Index. Ranged indexes are measures where there's a maximum and minimum. Examples would include credit scoring, food hygiene scores or exam grading. Both have their uses. You will need to do a little more work if you need to mix both types. Example of open-ended KPI: 'Average web site visit duration' has no upper limit on it. She decides that her Customer Service Index will increase as service gets better. We will see how she deals with the mix of open-ended, ranged, more is better, sweet spot and more is worse measures in the sections below. Let's say we need to mix 'Number of Customer Contacts to Resolution' with 'Call Listening Score' in our index. Call Listening Score varies from 0-100%. The trouble is, there's no upper limit on the Number of Customer Contacts to Resolution. It's also true to say that the average moving up from 1 contact to 2 contacts is a much more important change than going from an average of 18 contacts to 19 contacts to resolution. We can fix this challenge quite elegantly by using a 1/x relationship. If we aren't getting quite what we want, we can easily tweak the shape of the curve and the axis intercept by tinkering with the maths and coefficients of the graph. In doing this, we have built a 'mini-index' ready to be mixed with the others, to create our finished product. Earlier on, you reviewed each of your ingredient KPIs and identified whether they were open-ended / ranged and bigger=better / smaller=better. So, what do you do if one of your ingredient KPIs going up is a good thing and another going up is a bad thing? You have two options for dealing with this. If your troublesome KPI is 'ranged' (has a maximum and minimum), we could use '100%-measure'. You can also use 1/[KPI], but be very careful - if your [KPI] value tends towards zero (or hits) zero you will get a massive / infinite figure! Once you have that sorted, double-check that each element of the Index algorithm pushes the overall score in the 'right' directions when each element varies (use the 'Does that make sense?' test). There's a special case in addition to 'bigger=better' and 'smaller=better', and that's what we call a 'sweet spot' measure. This is a measure where you don't want something to be too high or too low. Our example, shown below, of a sweet spot KPI is Call Handle Rate - we don't want to spend too long on calls (it will dent our productivity) or too little time on calls (our customer service is likely to be weak). Check out the example to see how to handle this. This is a ranged, more is better, KPI already. So it's ready to go as it is. This is a ranged, more is better, KPI already. We just need to convert it from a 1-10 score to percentage. There's no clear link between all of the 'ingredient KPIs' and each other. It might be possible to develop an empirical relationship between 'Contact handle rate', 'Number of customer contacts to resolution' and 'Customer feedback score', but that all sounds a bit time-consuming to Ruby. Most performance indexes will generally just involve basic arithmetic - addition, subtraction, division and multiplication. There are a few occasions where the index has to represent a physical relationship and the maths gets very slightly more complicated - for example Body Mass Index (BMI). From experience, it's fairly unusual to have to go beyond basic arithmetic though. For a performance index to work there needs to be a relationship between the things you are reporting. You could create a performance index that mixes 'the price of fish' with 'the favourite trouser colour of politicians', but it wouldn't be meaningful. Sometimes this will be obvious, where there is a physical relationship between the behaviours and the top level measure - such as fuel efficiency and Eco Score on Toyota cars. In that situation the 'Eco Score' is a leading indicator of fuel economy. If you get that algorithm wrong it will become clear when you get a 'good' Eco Score and poor fuel economy. In other situations it may not be so clear cut, for instance where you are trying to 'measure staff engagement' or 'customer service'. There will be lagging indicators of the effectiveness of both of these examples but those outcomes are partially determined by outside factors, so it's not completely clear-cut. Algorithm sounds a bit fancy, but all we are talking about here is creating a step-by-step formula that represents the relationship between the 'ingredients' in our composite measure. 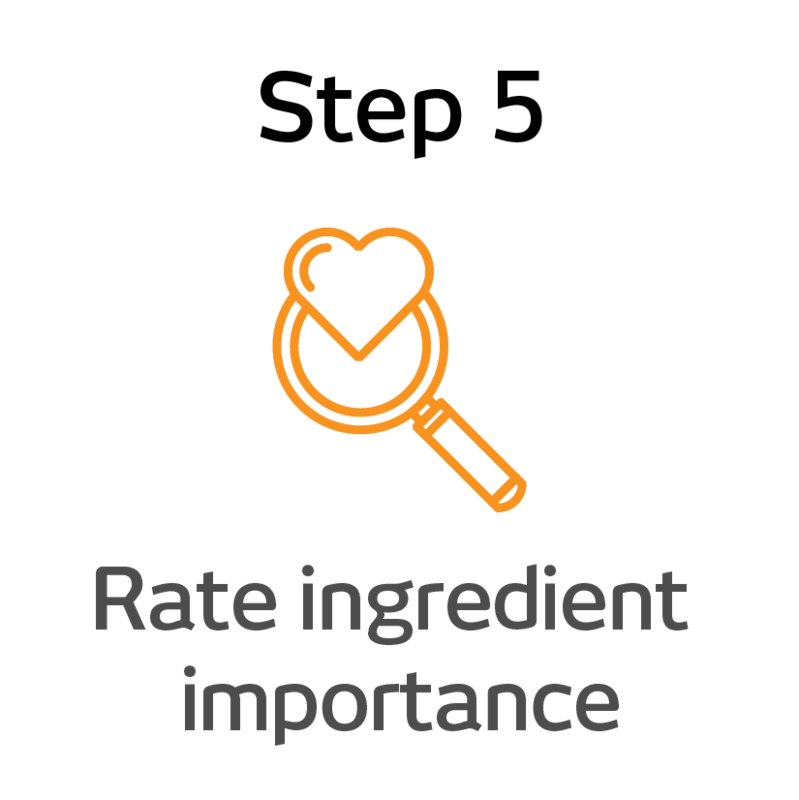 Understanding the physical or logical relationship behind our 'ingredient' measures can help hugely. If you are creating something a bit more abstract (like Weight Watcher Points) then you will need to put a bit more thought into how much weighting you put behind certain inputs. Should it be a multiplier? Is it a critical element to performance? When you are deciding the arithmetic of your index, you need to ask yourself this question about each of the ingredient KPIs - 'When it 'fails', does it render all the other elements meaningless?'. If the answer is 'yes', then you will multiply the whole expression by this value, so that when it falls to zero the index falls to zero. Earlier on, you considered the logic of how your 'ingredient KPIs' interact. Now you need to express this as a formula. A) The big guns in descending order of "amplification"
Coefficients - fixed multipliers. The BMI figure is simply the coefficient that allows us to equate kg to height squared, all Adolphe did was to rearrange the equation to put the coefficient in the hot seat. Correction values - These are offsets to enable us to make things work. If you think back to school, linear charts could be described as y=Mx+c. We are talking about c here. Anything that is multiplied or divided by anything else can go very screwy at the extreme. Let's say we diving A by B to give answer C.
If B heads down to practically zero, let's say 0.000001, our result shoots up to 5,000,000. As B tends towards zero C tends towards infinity. Now it may be that answer is a fair reflection of what you are trying to show. More often though, it's the unexpected side effect of the way the index is designed. We create a measure for 'cooking accuracy' for baking a cake. That measure is for the difference between the weight of each ingredient we put in the cake, compared with the target weights in the recipe. If you bake a cake and put 5 grammes too little sugar in it, you don't fix that problem by putting 5 grammes of extra salt in it! A common mistake when designing performance indexes is to encourage the user to do just this. Often, the simplest solution is to use the 'absolute' variance - i.e. make the difference positive, whether it's a 'plus' or 'minus' deviation. 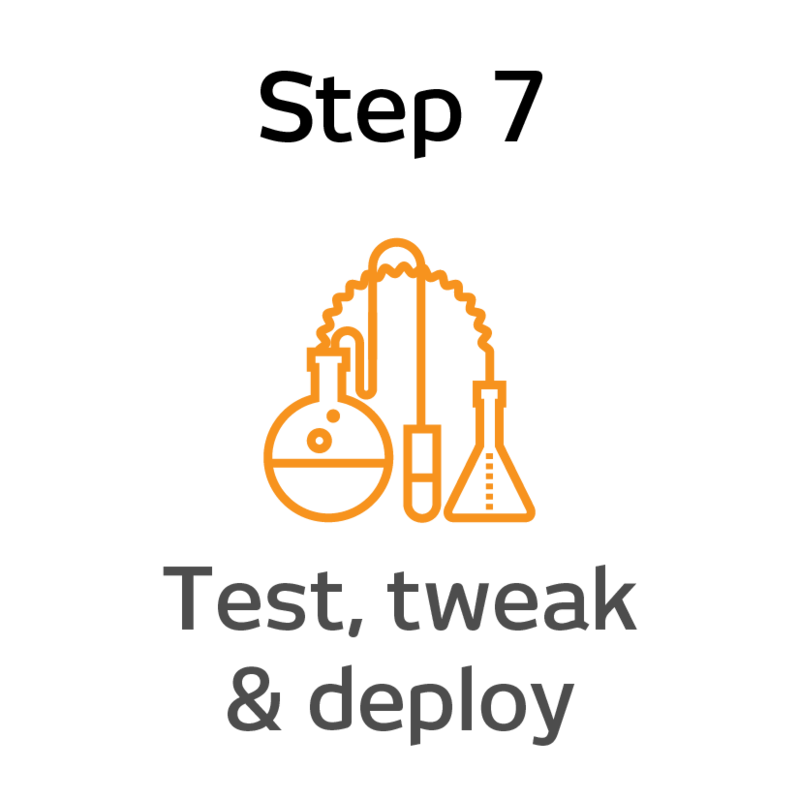 Once you have your performance index set up, it's time to test it. Most performance indexes work as expected for typical situations but can go very strange in extreme situations - very high or low values for some of the components. Make sure you include some zero values, as these are the ones that can sometimes cause the biggest upsets. To test the index, set up a spreadsheet with multiple input-value scenarios. Talk through the inputs and resulting scores with the end-users of the index. Take the new measure on a 'road-show' with those who will be creating the measure or using it to drive the business (though it's best to involve them from Step 1, if you can). Do you feel the measure is fair? Which situations do you think might give a misleading output? How could the measure be better and/or fairer? Depending on the responses, you may have to go back to Step 4 at this point or you may have done your ground-work correctly and be ready to launch your new shiny index KPI. Mostly bad: The ranges measures are all the worst they can be and it takes 8 contacts (on average) from the customer to resolve their problem. 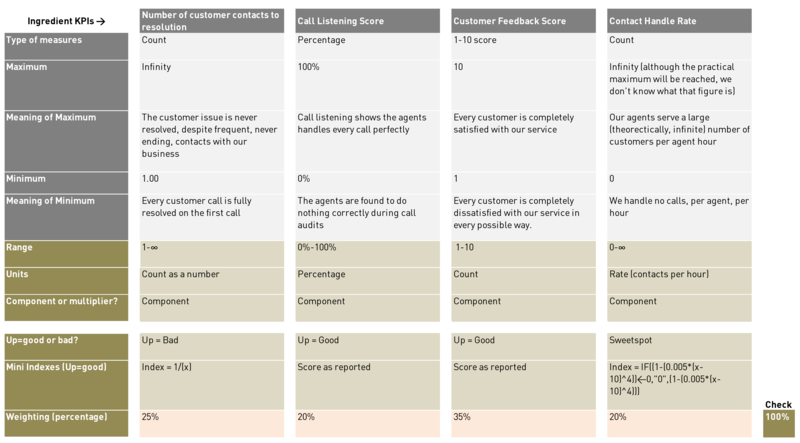 Good-bad mixture: Customer problems are resolved on first touch, the call listening scores are the lowest they can be, the customers love their service and the agents take half-an-hour per call (much slower than target). A weird mixture of performance, but worth testing. Indexes can be a bit strange and new when people are first exposed to them. Clear explanation is one of the best ways to help people become comfortable with them, along with regular exposure to the output values. A 'KPI Cheatsheet' can be a really effective way of communicating how an index is calculated and can act as a handy reference tool. Most critically, performance indexes will be used if they are seen as useful. Performance indexes are great, but... it can take lots of time and effort to create a performance index, so it's not something you would want to do on a whim. 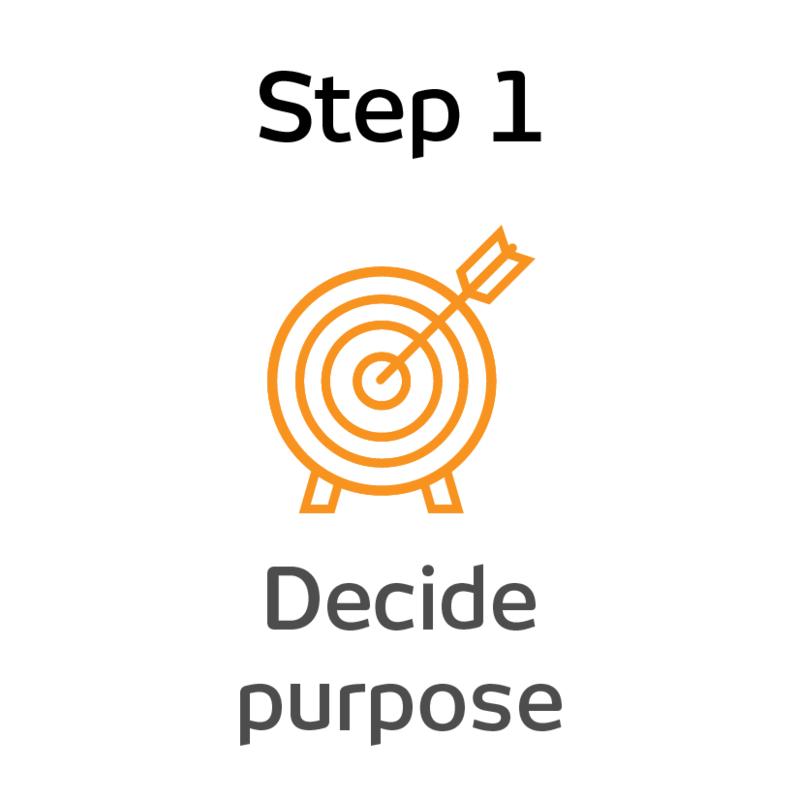 If you do decide to invest that time and effort, you could quickly find that it rapidly becomes a crucial business tool, giving your organisation a serious competitive advantage. 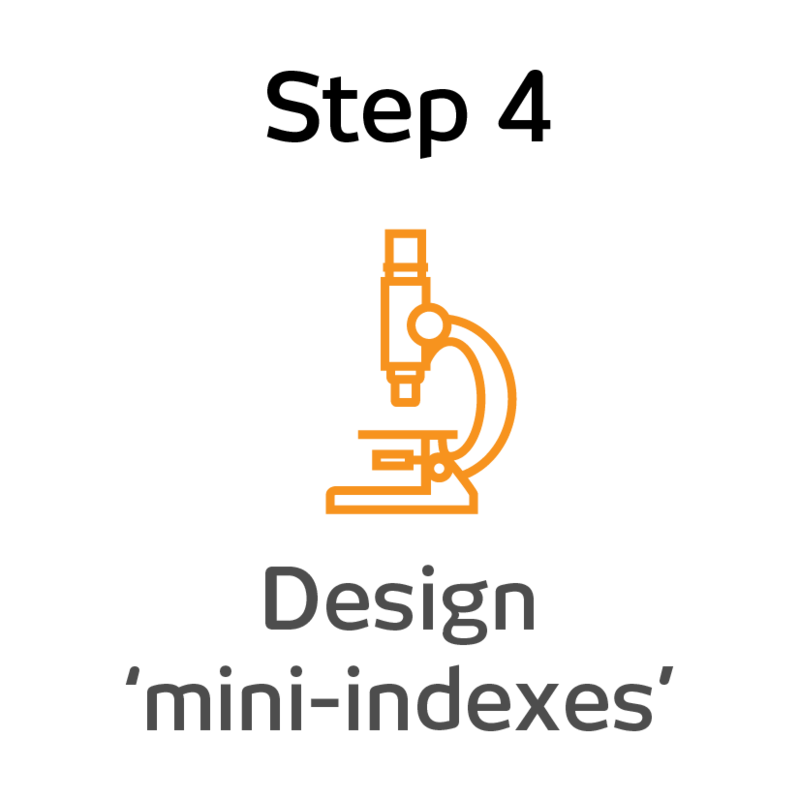 Good luck with designing your performance indexes and get in touch if you need some practical help. After shying away from sending out a regular newsletter for far too long, I decided to get to grips with my newsletter software a few weeks ago. If you have ever sent out newsletters by email you will know that a serious challenge is getting the email into your subscribers inbox and not blocked by filters. This is a particular challenge as there are SO many ways that your mail can be marked as unwanted, it can get rather overwhelming. It shows you how many 'points' you lose per issue, so you instinctively prioritise the 'biggest win'.